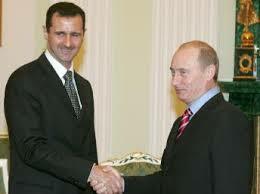 Since the uprising against Syria’s President Bashar al-Assad began in March 2011, no one has been more supportive of him and his ruling elite than Russia’s President Putin. The increased Russian presence was discreet at first, but gradually began to manifest itself in surprising ways. 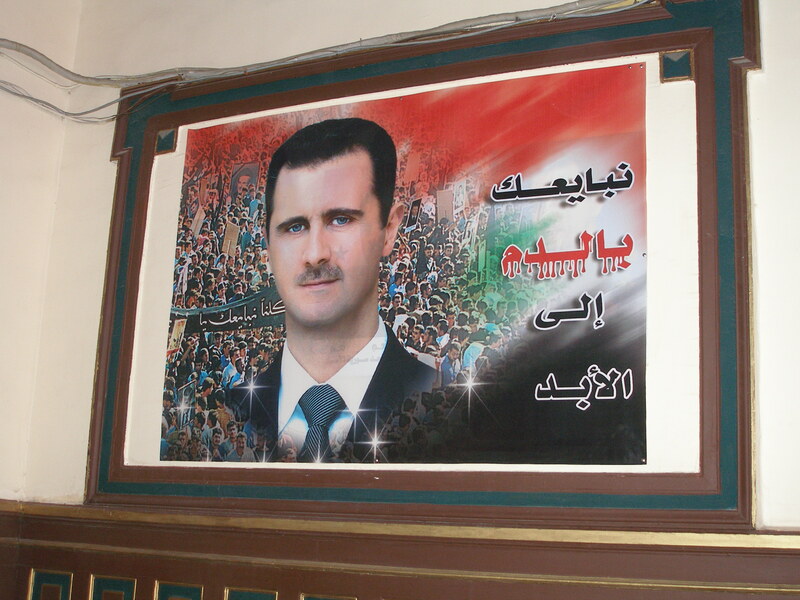 Plastered on buildings in central Damascus in December 2014 for the first time street I saw private adverts offering Russian lessons. Then I read in local newspapers that the Faculty of Arts and Humanities in Damascus University had just opened a new department for Russian language and literature in response to rising demand. 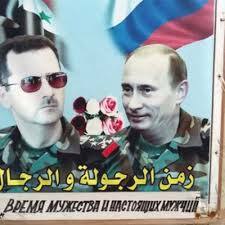 Of course Russia’s relations with Syria go back a long way, to the early 1960s, when Hafez al-Assad and his Ba’athist comrades enjoyed steadfast support and military hardware from the Russians. The Syrian Armed Forces have for decades been supplied with Russian aircraft and tanks, and most top Assad regime military officials received training in Moscow. At university level there were many exchanges with Syrian students sent to study in Moscow while Russian professors were brought to Damascus to teach students in both arts and sciences. Today Russia has long-term interests in coastal Syria, notably its naval base in Tartous and its oil-exploration rights in Syria’s territorial waters of the Eastern Mediterranean. In recent months these interests have come under threat from rebel opposition groups making a series of gains at regime expense in Idlib province, posing the first real threat to the Lattakia region, Assad’s Alawite stronghold, where much of Syria’s displaced population is now concentrated. Russia is additionally concerned at the number of Chechens who have joined ISIS, said to be as many as 4,000, fearing they may return to Russian soil and wreak havoc domestically in revenge-driven ‘blowback’. The Russian airstrikes within Syria which started on 30 September 2015 have not come out of the blue. 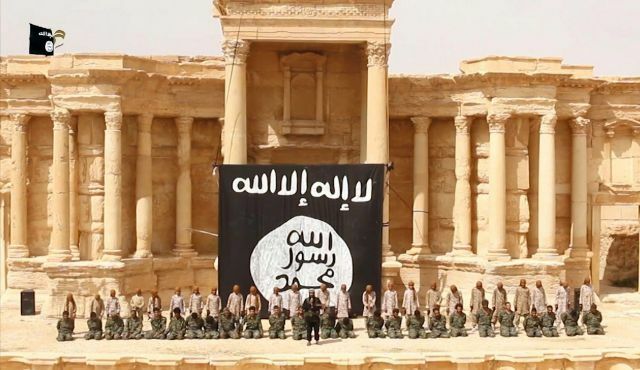 They will have been months in the planning, possibly as far back as May 2015, when ISIS first seized Palmyra in a lightning offensive, taking advantage of a strategic redeployment when the Syrian army withdrew from Palmyra in order to bolster manpower in Idlib province. 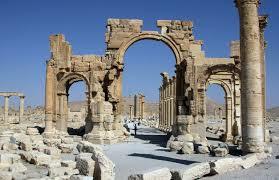 Although Palmyra, situated on its own in the middle of the desert, does not fall within Russia’s area of interests in Damascus and Syria’s western coastal regions, it will not have escaped the Russian strategists that recapturing Palmyra and returning it to Syrian regime control would be a massive PR coup before ISIS can destroy what remains of the archaeological site in what appear to be monthly staged explosions. In August it was the Temples of Baal Shamin and of Bel, in September the funerary towers and most recently on 5 October the Triumphal Arch. It would also fit the Russian narrative of seeking to drive ISIS out of Syria and should be a relatively realistic goal, since ISIS has only had a little over four months to dig in, not long enough to put down strong roots in the small town of Tadmur adjacent to Palmyra. On top of the obvious international kudos Russia could gain from such a move, it would be an important strategic reclaiming of the regime’s oil and gas fields in the area, as well as protecting the regime’s nearby air bases. 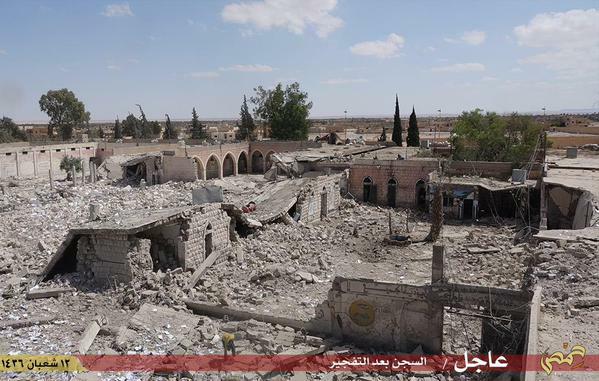 So far Russia is denying it has struck targets round Palmyra, despite initial Syrian reports to the contrary. 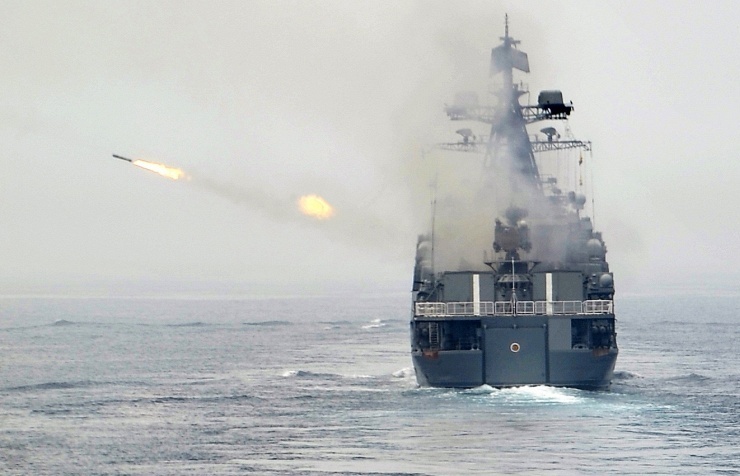 As Russia raises the stakes ever higher with surprise cruise missiles launched onto targets inside Syria from the Caspian Sea, after first gaining permission to fire over both Iranian and Iraqi airspace, the West watches helplessly from the sidelines. 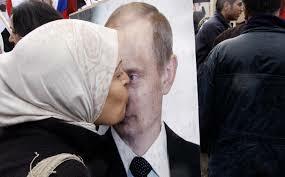 Putin is becoming Syria’s saviour. Russia and the Syrian army appear to be coordinating their strategy with the clear aim of eliminating ISIS and other opposition groups. 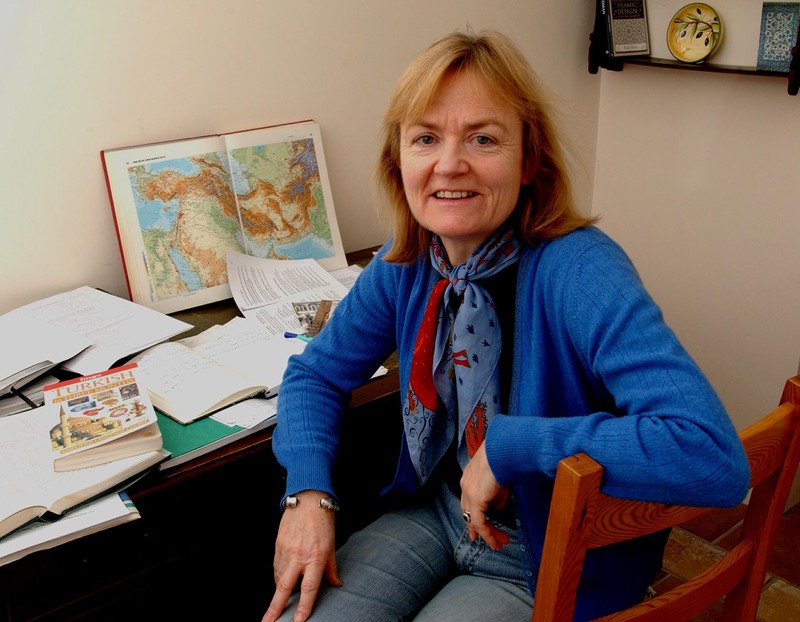 The West’s strategy remains in disarray. The US-led coalition has been completely upstaged, its year of expensive airstrikes achieving remarkably little to date. The addition of British air power to that equation will change nothing. Meanwhile Russia’s strategy on Syria has been consistent from the start. Now it has caught the ball from its Syrian, Iranian and Iraqi team players and is running with it, ready to score a series of goals which is bound to terrify and demoralise the opposition groups and even send them fleeing the country to join the exodus to Europe. As Goethe wrote centuries ago: “Thinking is easy, acting is difficult, and to put one’s thoughts into action is the most difficult thing in the world.” Putin seems to suffer from no such difficulties. While Obama, NATO and the West continue their endless talking shops, Russia is creating new realities on the ground that will shape Syria’s future, maybe even for the better. If Putin succeeds where the West has failed, in eliminating ISIS and reuniting the country, ordinary Syrians will forever thank Russia. The pictures say it all. 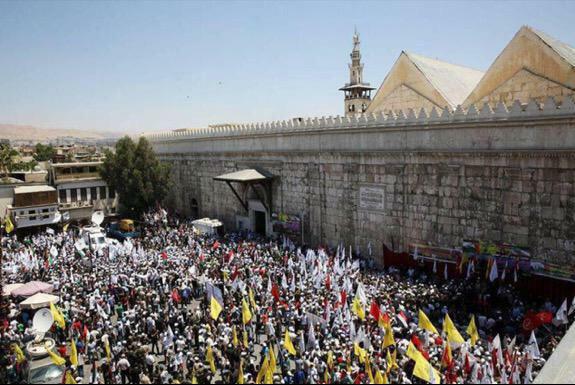 Iranian and Shia militia flags are now paraded in the spiritual heart of Damascus, the magnificent Umayyad Mosque, using the legend that the head of Hussein, martyred at Kerbala in 680AD, was buried here beneath a shrine in the eastern precincts. 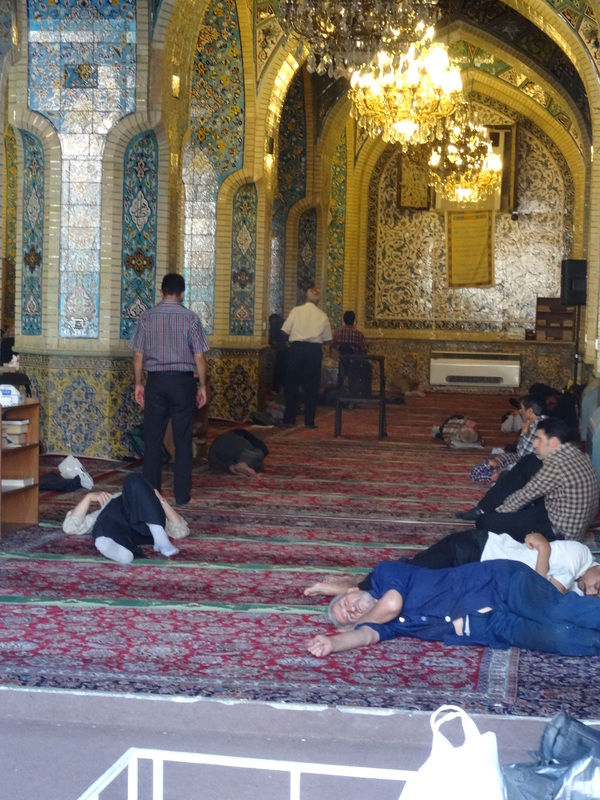 Iran’s involvement in Syria used to be discreet but these days it is blatant. The ‘Iranification’ of Syria is gathering pace, almost as if it is a race to seize as much as possible before its puppet Assad regime collapses. Iran may be prepared to sacrifice chief puppeteer President Bashar al-Assad and his corrupt elite, but under no circumstances is it prepared to surrender its vast economic investment in Syria, or more precisely, in regime-controlled Damascus and the “Shia crescent” that links to the coast via Hizbullah heartlands in Lebanon. 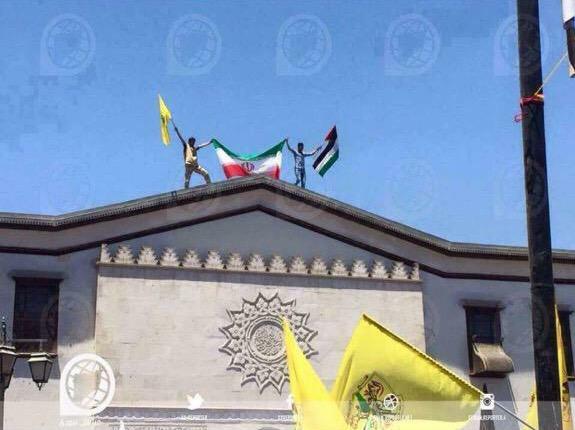 The most recent manifestation of this open determination to control Syria’s capital is the forced confiscation of hundreds of acres of land around the Iranian Embassy in the western suburb of Mezzeh. 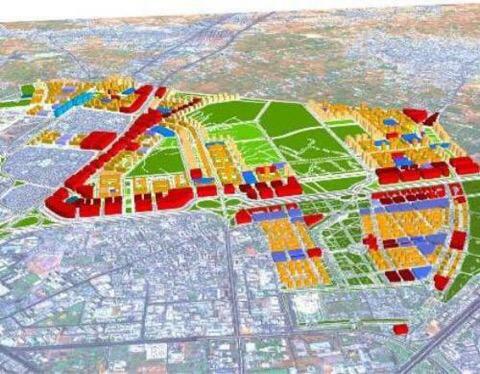 Dubbed “Iranian Towers”, the scheme is tantamount to changing the demographic of this entire neighbourhood of Damascus. Residents displaced by the eviction order, mainly Sunni families on low incomes, are reported not to have been offered compensation. Evidently the opinions of such people will count for nothing in the Syria of the future which Iran is seeking to engineer. 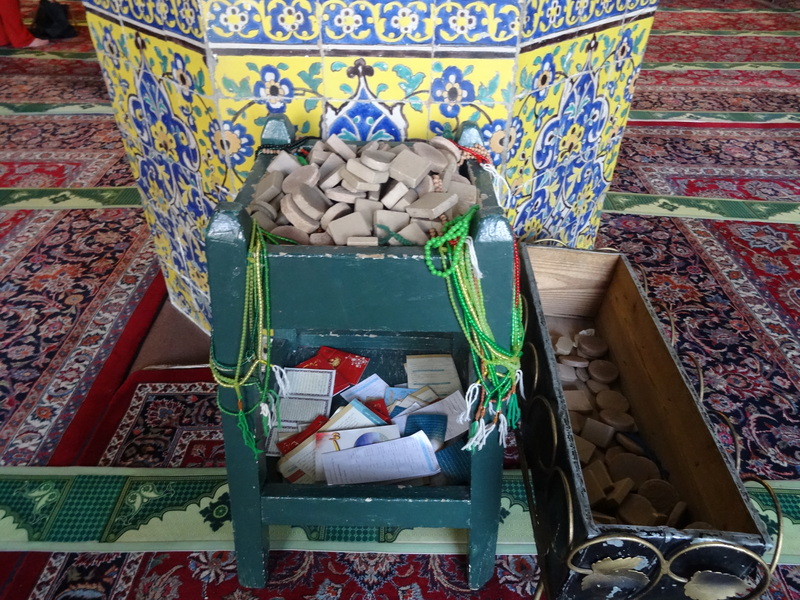 On my recent visit to Damascus to retake my house from war profiteers, Iranian influence was already evident behind the scenes. 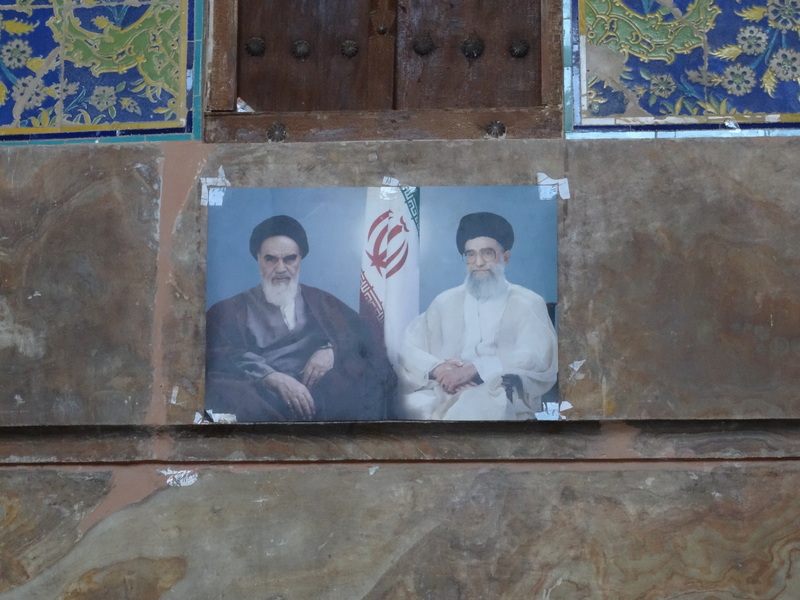 Friends and neighbours in the Old City told me that the CCTV cameras along Al-Amin Street, a Shia quarter, had been installed by Iran, and the only building projects underway were all known to be Iranian-funded. 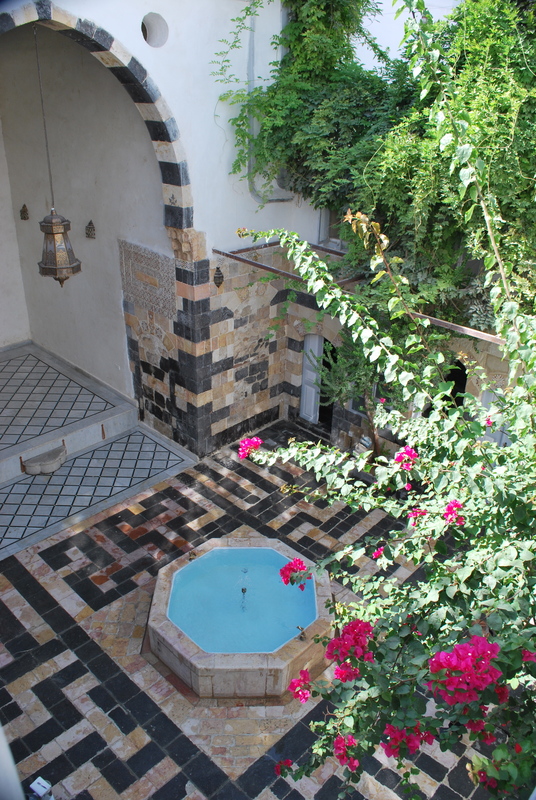 Wealthy Iranians are also distorting the property market by buying up prestige homes in the affluent areas including the Old City, especially near Shia shrines like Sayyida Rouqqaya. 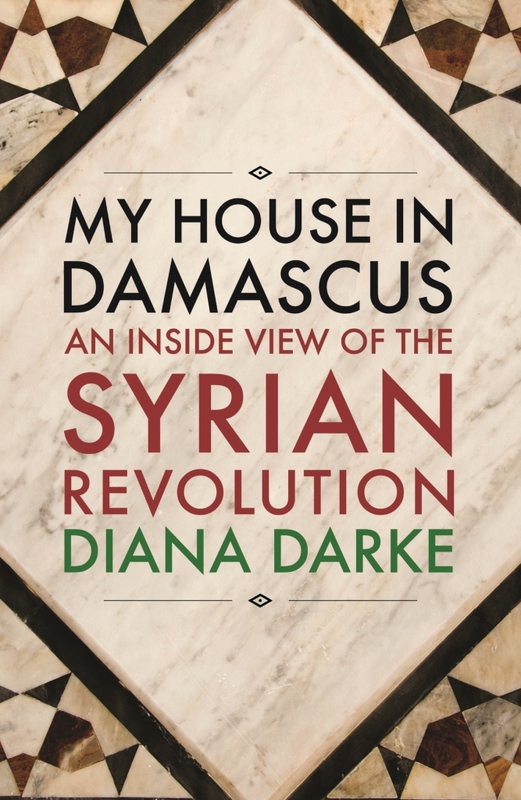 Among ordinary Damascene residents the strong perception is that Iran is increasingly pulling the strings behind the facade of the Assad regime: as the regime weakens, Iran is taking advantage. Masquerading as religious affinity between Shia Iran and Alawi-ruled Syria, this relationship has never been anything other than a marriage of convenience. 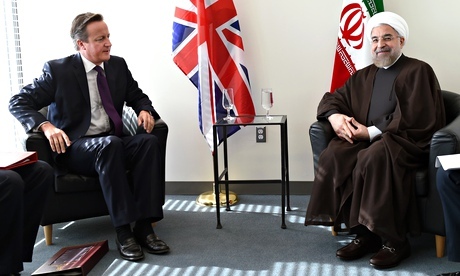 It began when Syria supported Iran in the Iran-Iraq War back in 1980 to spite Saddam Hussein. But these days the partnership has become so unequal it is more like a master/slave relationship, one of total dependence. Since the 2011 Syrian uprising the Iranian government has been maintaining the Assad regime in power by supplying riot control equipment, intelligence monitoring techniques, snipers and oil to sustain its war activities. 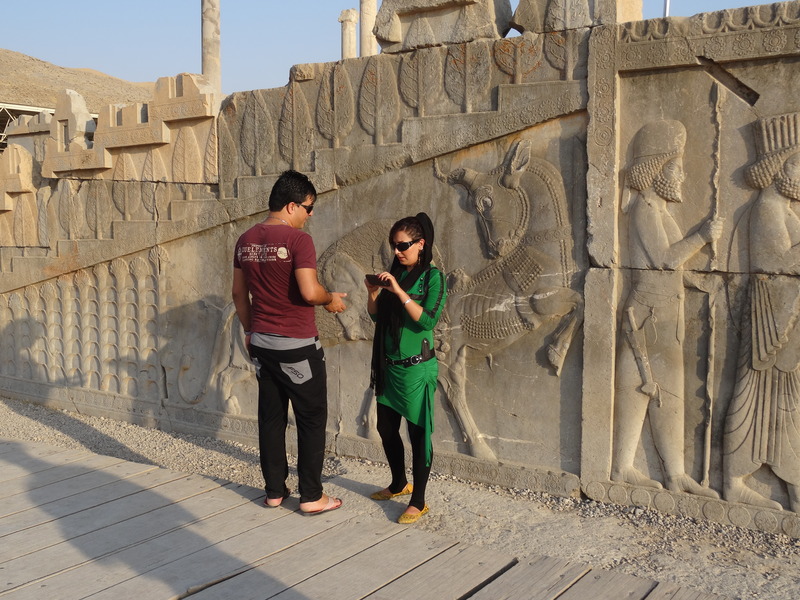 Using experience honed during its own 2009 Green Revolution, Iran developed the world’s most sophisticated “cyber-army” technology in the world after China. 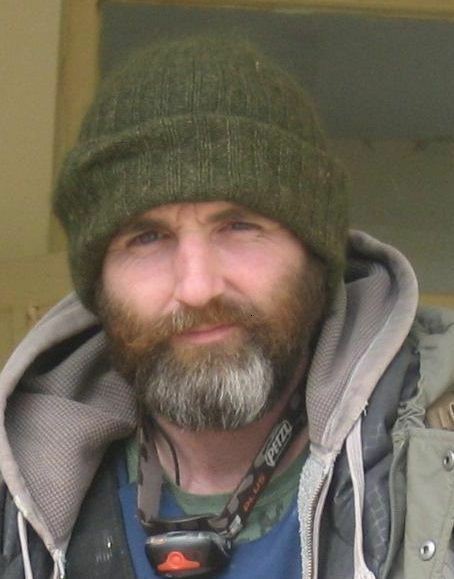 Assad’s shabiha paramilitary forces were trained by Iranian militia, and General Qasim Sulaimani (commander of the Iranian clandestine Quds Force) personally masterminded Syrian military strategy and oversaw the creation of the volunteer reserve “National Defence Forces” (NDF) modelled on the Iranian basij paramilitary force. In early June this year General Sulaimani deployed thousands of extra Iranian, Afghan and other foreign fighters round Damascus to protect the city after ISIS victories in Palmyra and Deir ez-Zour left it vulnerable. Reports of the numbers range between 7,000 and 15,000. Iranian President Hassan Rouhani has publicly announced Iran will support the Damascus regime “till the end of the road”, not for ideological reasons, but because he knows that the current weakness and dependence of the Syrian regime means that Iran can secure political and strategic goals that had previously been out of reach. With the announcement of the new nuclear deal and its accompanying sanctions relief, Iranian investment and wealth is set to soar. Iran has been described as the ‘world’s largest untapped market’ by British business guru Martin Sorrell and it boasts the world’s third largest oil reserves. Already major oil companies have visited Tehran to discuss the future of Iran’s oil industry. Will Iran divert large amounts of this new wealth to fund its military activities in Syria, to protect its investment? Almost certainly, which makes it more and more likely that Iran will be enlisted by the P5+1 (the US, UK, France, Russia, China plus Germany) to fight ISIS, a common enemy to them all, inside Syria and to jettison Assad, but leaving Iran’s investment in Syria intact. It is almost certainly part of the deal. 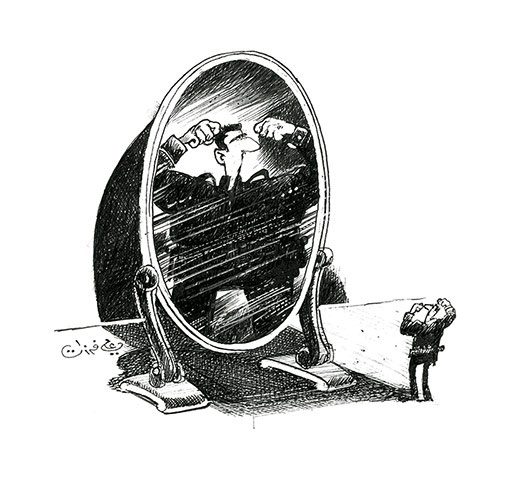 In this latest twist of the game, the Syrian people are again helpless pawns on the chessboard, with the big international players moving their pieces around to fit their own economic and political interests as ever. Is there a grand American/Kurdish plan in Syria? Events are moving very fast in northern Syria, so fast it is hard to keep track of all the different threads and what they mean. But one thing seems clear – the Americans and the Kurds are working together because their interests coincide. The Americans want a ground force with whom they can coordinate air strikes to push back ISIS, and the Kurds want to control and link up their three separate cantons along the Turkish border. So far so good, but what is the deal they have struck with each other? Following the surprisingly quick fall of Tel Abyad to the Kurds last week, their YPG forces have now sped south and taken the town of Ain Issa from ISIS control, along with the nearby military base of Brigade 93 and surrounding villages. It is a half-way point to Raqqa, ISIS headquarters, just 50km further south, so have they really agreed to take on ISIS in its heartland, aided by US air strikes? Such a move would be highly audacious and unless the Americans already have intelligence that Raqqa is not as strong as it projects itself, would inevitably cost many Kurdish lives. The Kurds would want a big reward for such a project. What might that be? Ain Issa is also at a junction of roads heading northwest across the Euphrates near the medieval castle of Qal’at Najm, towards Manbij and Jarabalus, a region the Kurds would have to control if they wanted to link up with their third and most isolated canton of Afrin, northwest of Aleppo. Is that a realistic ambition? The biggest question is whether or not a grand but as yet undeclared American strategy in the region has now been formulated, using their willing Kurdish partners on the ground to strike at the heart of ISIS in Raqqa and deal it a blow from which it may struggle to recover. With its main supply routes via the Turkish border cut off at Tel Abyad and the Kurds increasingly controlling the Turkish/Syrian frontier areas, ISIS may indeed suddenly be vulnerable at its heart. If Raqqa were to fall the blow to ISIS PR and its image of invincibility would be massive. How deep into Syria’s non-Kurdish territory might the Kurds be persuaded to go? 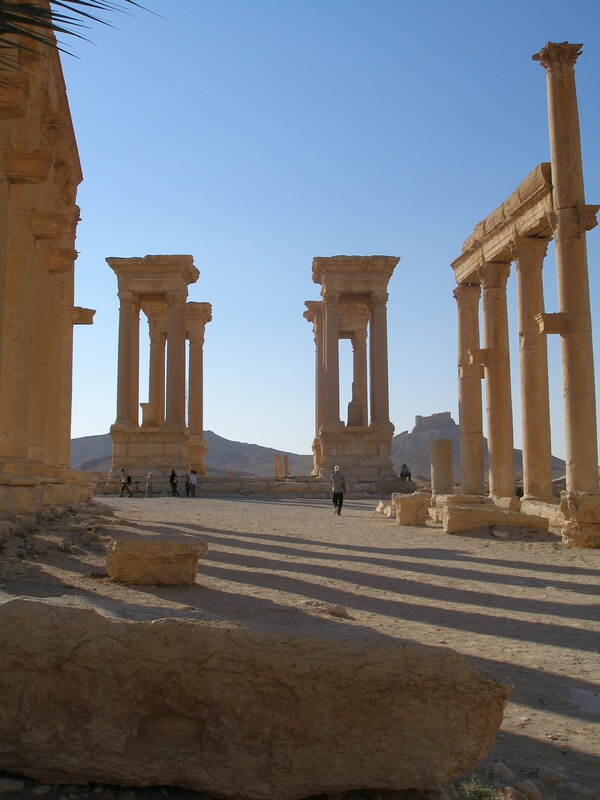 As far as Palmyra for example, just two hours’ drive south from Raqqa? The picture is confused by many factors. How will the Kurds be received in predominantly Arab areas when there is a clear perception that their YPG forces have been conducting some ‘ethnic cleansing’ exercises in Tel Abyad and other towns they have taken? Arabs are said to feel unwelcome in Rojava, yet Al-Jazeera TV has shown pictures of some Arab families returning to their unlooted homes, even being reunited with their abandoned livestock. Then there is Turkey’s position, now even more confused by the recent election results, giving more parliamentary representation to the Kurds than at any other time in their history. Today is the first day that efforts to form a ruling coalition are starting in Turkey, with President Erdogan and his dominant AK party increasingly hysterical about the dangers emanating from the strengthening of the Kurds along the Syrian border. Were the Kurds to succeed in joining up their three cantons of Afrin, Kobani and Hassakeh the consequences for Turkey would be considerable: it would put paid to their hopes of a no-fly zone along the border inside Syria and might even permit the Kurds to open up a corridor for an oil pipeline to the Mediterranean from Iraqi Kurdistan. 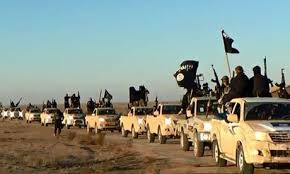 Maybe this is even what has been promised to them by America as their reward for combating Islamic State. The future of such grand schemes will depend above all on the ability of the Kurds to win over the other ethnic groups with whom they share this territory – Arabs, Turkmens, Syriacs, Chaldeans, Armenians, Chechens. They must prove that their declared intention – to build a democratic life free from race, religion and gender discrimination – is mirrored in their actions. Let us hope that at least is part of the deal. It is a case of deja vu for Turkey’s President Erdogan. Three years ago, as Turkey’s Prime Minister, he was urgently calling for a no-fly zone and the setting up of a safe haven on Syrian soil along its border with Turkey. No one listened. Now he is calling for it again. In late summer 2011 after many months of trying to reason with Syrian President Bashar al-Assad, when high-level delegations shuttled regularly between Ankara and Damascus, Erdogan finally lost patience with his former ally, a man he had even gone on holiday with, and began his support instead of the Syrian opposition rebels. It was a bold move, partly influenced by his thinking that support for Islamist rebel groups inside Syria would act as a counterbalance to the Kurds, who make up c20% of Turkey’s population. What he did not foresee, was that Syria’s Kurds, taking advantage of the vacuum left by the Assad regime in the northeast, would seize control of the northeast areas round Al-Hasakah and Qamishli, even seizing some of the border crossings into the Kurdish parts of southeast Turkey like Ras al-Ayn and Ayn al-Arab (known to Kurds as ‘Kobane’). The Syrian Kurds were more prescient. 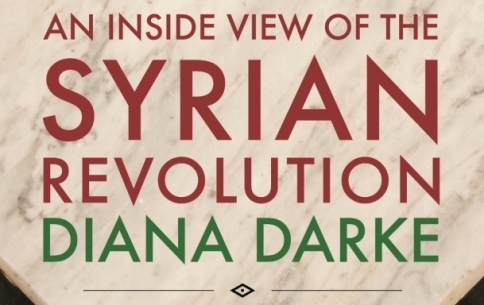 They had foreseen in the Syrian revolution a major opportunity to further their aspirations for their own homeland, or autonomy at the very least. The Kurdish street slogan was: ‘Democracy for Syria. Federalism for Syrian Kurdistan.’ Bashar finally gave them citizenship in 2012 after 50 years of state deprivation, in an attempt to deter them from joining the revolution, but by then it was too little too late. Kurds have historically been bad at uniting, with seven dialects and seven political organisations to bring together, but over the course of the Syrian Revolution some of Syria’s Kurds linked up with their fellow Sunni Kurds in Iraqi Kurdistan, and have been openly receiving military training from them. Turkey’s government has been horrified, fearing the effects on their own restive Kurds, whose guerrilla activities under the Kurdistan Workers’ Party (PKK) recently flared up again after ten years of near stabilility. Some 45,000 were killed in that struggle inside Turkey since 1984. Ankara is currently engaged in a delicate peace process with its Kurds, giving them greater freedoms and rights in return for them laying down their arms and withdrawing to Iraqi Kurdistan. Turkey knows how easily Kurdish ambitions could derail plans for the economic expansion of its southeast regions and how expensive that would be. Pre-revolution, Bashar al-Assad was quoted as saying ‘Turkey is the model [for religious toleration in a secular state] because we have the same society and similar traditions.’ Over the last ten years under Erdoğan, Turkey opened up much faster than Syria under Bashar, liberalising its economy, embracing privatisation and free enterprise. As a result its economy has been booming, with growth peaking at about 12 per cent in 2010–11, though that figure has since slackened off considerably. It declared a ‘zero problems with neighbours’ foreign policy, trading with them all, and in 2009 opened its borders to Lebanese, Jordanians, Iraqis and Syrians, dropping all visa requirements. 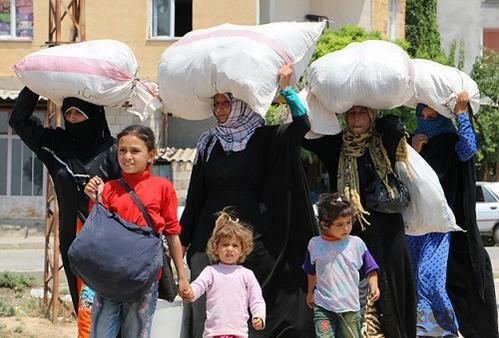 More and more Syrians started going to Turkey for their holidays. 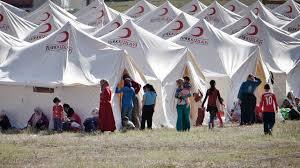 At first Turkey welcomed Syrian refugees from the fighting, providing camps for them along the border. They began as a small trickle, building up to about 10,000 after the first year, then increasing exponentially to hundreds of thousands once the violence in Aleppo flared up. The flow then became such that they ran out of camp space, hurriedly building more, while backlogs of desperate refugees piled up on the Syrian side of the border. Now the numbers are close to a million and the strains are becoming unbearable. Today once again Turkey is calling for a no-fly zone and a safe haven inside Syrian territory. Erdogan wants the US-led coalition to help him achieve this, knowing it means taking on the Assad regime, knowing it is too risky alone. Once again no one is listening. 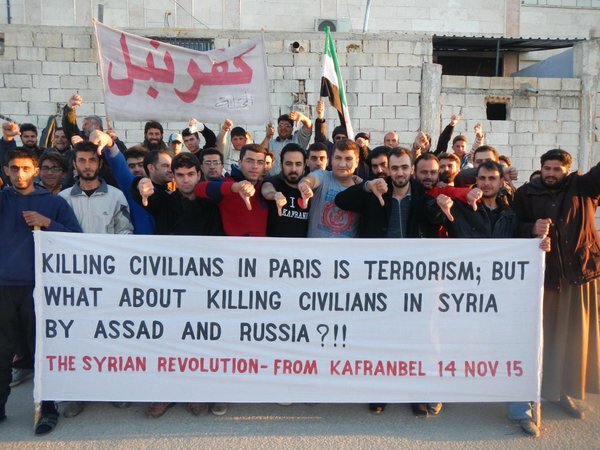 The reaction of the Syrian government is unpredictable. So far the US-led coalition air strikes and the focus on Kobane have enabled them to make gains on the ground around both Aleppo and Damascus. Even Iran is now talking of getting involved, to avert a humanitarian catastrophe, though it is far from clear how it would do this. The longer the dilemma goes on, the harder Turkey’s decision will be. It has to juggle the pros and cons, knowing that its involvement in the Syrian conflict is deeply unpopular with its own Turkish population who have no appetite for war, yet also that its international reputation is at stake. 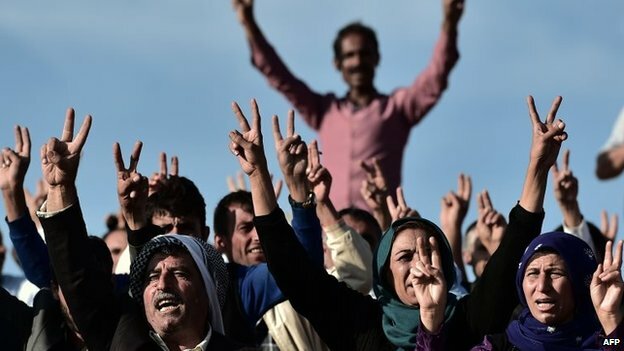 Its ideal solution would be for Kobane to be saved by US-led airstrikes and Kurdish peshmerga battling ISIS on the ground, and for its peace process with its Kurds to be saved by securing a deal with the PKK similar to that which Ankara already has with Iraqi Kurdistan, whose oil Turkey badly needs. Erdogan knows he must save Turkey’s domestic stability at all costs, for the sake of the future and of investor confidence, for once broken, it will take years to put back together again.